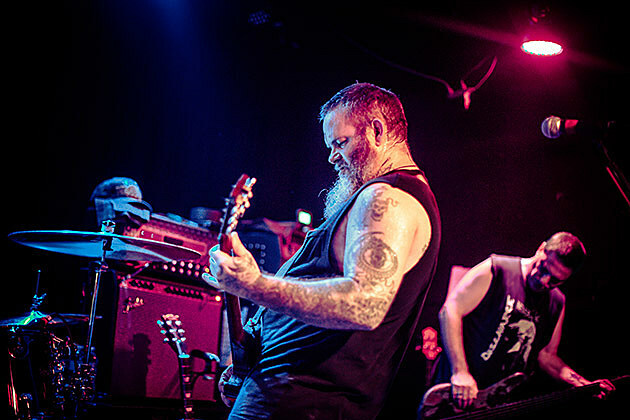 Scott Kelly of Neurosis and his Corrections House bandmate Bruce Lamont (also of Chicago’s Yakuza) are playing some shows together on the east coast this November. The tour hits NYC for a show at The Acheron on November 13 with additional support from Kevin Hufnagel of Dysrhythmia and the current Gorguts lineup. Tickets for the Acheron show are on sale now. Meanwhile, Corrections House release their new album Know How to Carry a Whip on Friday (10/23) via Kelly’s label Neurot. They’ve already premiered two songs from it, “White Man’s Gonna Lose” and “Superglued Tooth,” both of which showcase a heavier industrial influence than ever for the supergroup (the band also includes Mike Williams of Eyehategod and metal super-producer Sanford Parker). Scott Kelly also just released a video for a cover of Townes Van Zandt’s “Lungs.” Maybe he’ll bust that one out on the tour. You can check it out, with the Corrections House songs and the list of tour dates, below.